The Great Mosque of Makkah, also called Al-Haram Mosque "the Sacred Mosque"or "the Sacred Mosque") or Grand Mosque of Makkah, is the largest mosque in the world, and surrounds the Islamic Qiblah, that is the Kaaba in the Hejazi city of Makkah, Saudi Arabia. Muslims face the Kaaba while performing the Ṣalāh. 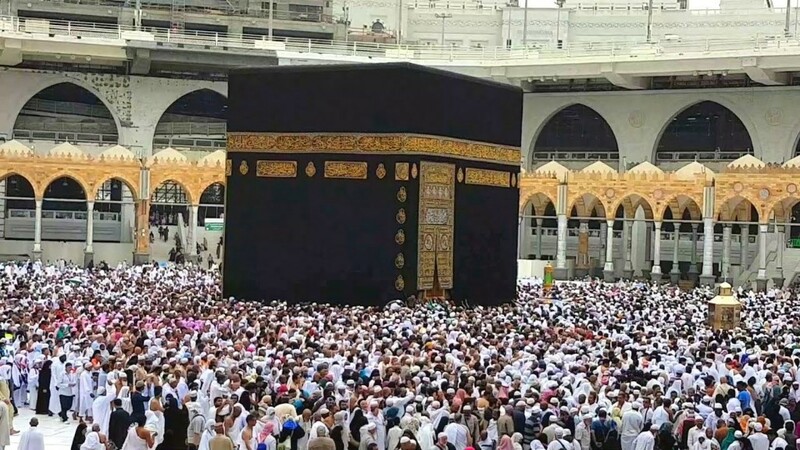 One of the Five Pillars of Islam requires every Muslim to perform the Ḥajj, one of the largest annual gatherings of people in the world, at least once in their lifetime if able to do so, includingṬawāf of the Kaaba. 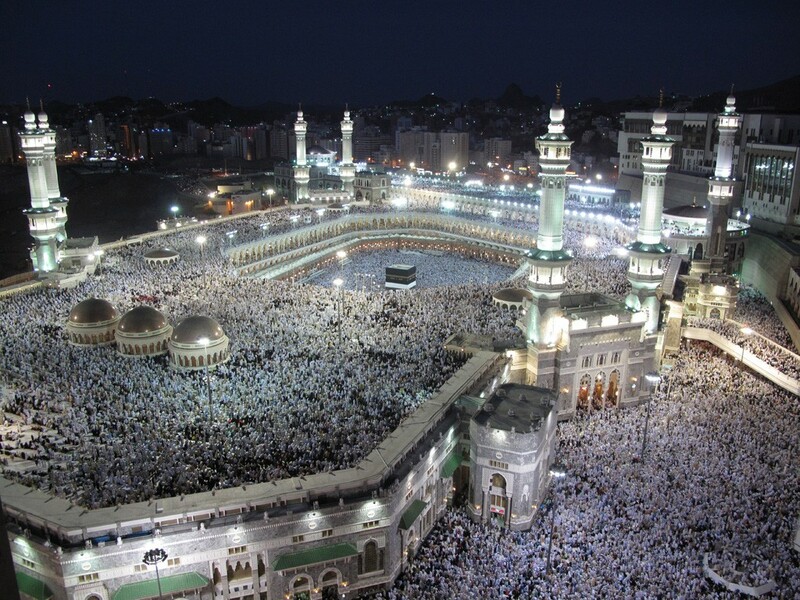 It is also the main phase for the ‘Umrah, which is the lesser pilgrimage that can be undertaken any time of the year. The Grand Mosque includes other important significant sites, including the Black Stone, Well of Zamzam, Station of Abraham, and Safa and Marwa. It is always open, regardless of date or time. It has gone under major renovations by various caliphs, sultans and kings, and it is now under the control of the Custodian of the Two Holy Mosques.It is in front of the tallest clock tower and fourth tallest structure in the world, the Abraj Al Bait, the construction of which has been surrounded by controversy concerning the destruction of early Islamic heritage sites by the Saudi government.